Tech stocks have had a tough time of it in recent months. Much of that has been the continued sluggish pace of recovery in Asia and Europe. But these 7 A-rated tech stocks are continuing their upward trajectory, regardless of broader market challenges. Some are strictly US focused, so they avoid the issue of a stronger dollar and a weak global economy entirely. Others are such dominant brands that they rise above many of their competitors during challenging times. While smaller firms are struggling for market share, larger companies gain client interest as they get more risk averse and tend to stay with well-known brands that have a history of success. But what they all share is solid technical and fundamental momentum, which in the end is what it’s all about. Alphabet (GOOGL, GOOG) is the second most highly valued company on the planet in a tight race with Apple (AAPL). Although its market cap has fallen from the half trillion dollar mark, it is well positioned to recover. The power behind GOOG at this point is online advertising: It has been the reigning champ in this sector and will continue to be regardless of growing competition. The fact is, the market is continuing to expand, so while other firms are grabbing market share, there’s plenty of growth for everyone. Also, there’s a big tax case — Intel (INTC) vs. IRS — that looks to be coming to a head soon and may have significant implications regarding how overseas subsidiaries are taxed and how it is reported at the U.S. home office. Facebook (FB) certainly has cemented its social media empire, but it has never rested on its laurels. FB continues to grow its presence with new services as well as new products like its Oculus Rift virtual reality technology. Its VR work is emblematic of the long-term vision that FB continues to execute, regardless of the short-term desires of the markets. Many don’t remember what a terrible response there was to FB’s initial forays into online advertising. But FB was patient and continued to build out its capacity and security and when technology allowed more people to access FB products more easily on their smartphones and tablets, online advertising started to pop. Now it’s growing by leaps and bounds, quarter after quarter and fueling FB growth. It’s very likely that the Rift may not score significant revenue for FB in the short term. But long term, VR is going to be very big. And FB will be ready when it is. First Solar (FSLR) has had quite a ride in the past five years, losing more than half its value over that time frame. But at this point, it has righted the ship and is on the upswing again. Although oil prices are in the bargain bin, there remains a strong trend toward renewables. Plus, the Solar Investment Tax Credit will be a big incentive for major solar players like FSLR over the next five years it’s in effect. This has thrown off FSLR’s bookings, since customers are either slowing down or speeding up their projects to get in on the credit. Also, according to GTM Research, energy storage was up 243% in 2015, compared to 2014. That is important because it means that solar is a more viable 24-hour energy source and it will help spark demand. This was further confirmed with FSLR’s recent earnings report that showed the company is back to its moneymaking ways. Qihoo 360 Technology (QIHU) is a quintessentially Chinese Internet company. When I say Chinese Internet company, I mean it has online operations that run from gaming to cybersecurity. Its chief claim to fame is its cybersecurity: Given the general distrust that major nations have of other nations’ ability to hack into government and corporate systems, many large countries have opted to grow their own security firms. This kind of domestic branding is very important, not only to individuals but to all aspects of society. And it’s a driving force in QIHU’s growth. You see how well top U.S. cybersecurity firms are performing; in China the need is significantly larger, especially for a domestic security player. QIHU also continues to buy up smaller firms that will strengthen its diverse brand and help diversify its revenue stream. VeriSign (VRSN) is one of the first Internet security firms. It is the first choice for registering domain names. And remember, it’s not just about grabbing a name that you want — it’s big business. Many firms will register the corporate name as well as similar names (in spelling or pronunciation) as well as descriptive names that it can use to set up promotional campaigns, etc. And these names have their own market where they are traded and sold to interested parties. That means there remains huge demand for this service. But VRSN is also a U.S.-based cybersecurity firm. It has a suite of products that are analytical as well as proactive in keeping companies safe and also has cloud-based domain name service security. The bottom line is, as the need for security grows, VRSN is a great proxy. 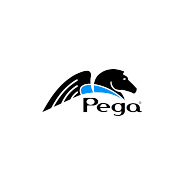 Pegasystems (PEGA) is one of oldest online CRM firms around. This was one of the first sectors where the growing bandwidth of the Internet made clear its potential to revolutionize all aspects of business. CRM is essentially the combining of sales, marketing and services in one completely integrated space. 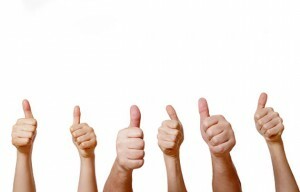 That means there’s total visibility about customers and customer experience with the products or systems their looking to take to the next level. Sales can see how marketing is delivering the brand and service can see by the sales how to anticipate what is selling and what isn’t. Obviously, it gets far more nuanced than that, but the larger point is as speed and mobility grow, so will the demand for PEGA. Look at the selloff in February as a great way to buy at a discount. Shenandoah Telecommunications (SHEN) is a telecom service provider in Virginia, Maryland, West Virginia and central Pennsylvania. Basically, it has built a solid base in what was once the rural Mid-Atlantic, and now it is growing its list of services to include Internet, cable and wireless. Now that the U.S. is well connected and broadband speeds continue to grow rapidly, it makes it easier for people to live remotely from their offices and still remain engaged and productive, with more flexible work schedules. That means these once-rural areas are now seeing an influx of urban and suburban professionals who are opting out of the rat race and crumbling infrastructures in many cities. A pending merger with wireless carrier Ntelos (NTLS) has cleared all the regulatory hurdles and is awaiting approval in coming weeks. This will allow SHEN to grow its services to its base and strengthen its market position. Article printed from InvestorPlace Media, https://investorplace.com/2016/03/tech-stocks-to-buy-fb-goog-fslr/.